The lighting, temperature and timing that will maximize your midday snooze. Naps: Some people swear by them, while others see them as a childhood pastime. For many, a quick few minutes of shut-eye during the day is seen as an essential way of keeping themselves functioning at high levels, but others find it impossible to fall asleep in the middle of the day no matter how exhausted or sleep-deprived they may be. 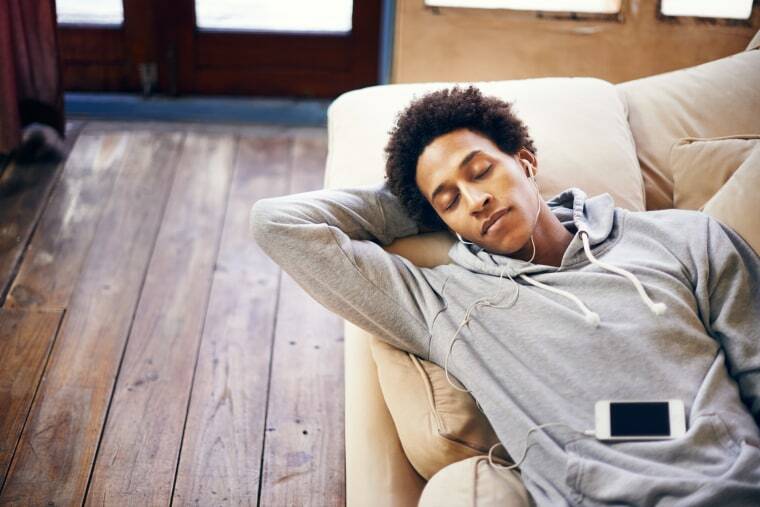 Whether or not you’re a fan of napping — or have leftover minutes in your day to carve out time for one — there's plenty of research that backs up the benefits of daytime dozing. One study, published in the journal Sleep, found that a mere 10-minute nap resulted in immediate increased alertness and a boost in cognitive performance that could last as long as 155 minutes (over three hours). Another study published in Personality and Individual Differences found that napping can also boost your mood. Researchers discovered that people were less impulsive and had higher levels of tolerance for frustration after a 60-minute midday nap. Who knew? For these reasons and more, napping is having a serious moment. Companies like Google, Ben & Jerry’s, Uber and Zappos have even installed dedicated nap spaces for their employees to catch shuteye whenever they need an energy boost. Even fitness studios are hopping on the bandwagon, offering classes in what’s catching on to be known as “nappercizing.” These sleep-centered classes allow participants to stretch, roll around and take naps in an open environment with other classmates. It’s like the naptime you enjoyed back in preschool, except for adults. A straight 45 minutes is spent sleeping and the rest of the time is filled with relaxation-inducing tactics like stretching and foam rolling. But before you decide to book a class after pulling an all-nighter, know this: It’s not a replacement for getting a good night's rest. “If someone is using a nappercizing class to supplement for sleep lost at night, this may not be the best behavior,” Robert Oexman, M.D., chiropractor and sleep director of the Sleep to Live Institute. And Mark Buchfuhrer, M.D., medical director of the Comprehensive Sleep Center at Good Samaritan Hospital, agrees. “I can see very little benefit for this type of activity except for people who have no other place to nap.” The only other exception, he notes, is for someone who incorporates little-to-no exercise in their daily routine and can reap some benefits from the stretching involved in nappercizing. We have two times per day that our circadian rhythm changes: at night and after lunch. However, sleep expert, Rebecca Robbins, Ph.D., Beautyrest brand sleep expert, has a different take. She thinks anything that encourages people to appreciate a good night’s sleep is a step in the right direction. This makes sense, considering an estimated 50-70 million U.S. adults have difficulty sleeping and over 35 percent report sleeping less than seven hours a night (the recommended amount is 7-9 hours). “Sleep is a very personal experience and involves listening to your own body, so if taking naps in a structured setting is helpful, go for it!” says Robbins. Just as sticking to a bedtime routine is important, the same goes for maintaining the same naptime schedule. You should aim for shut-eye around the same time each day. “We have two times per day that our circadian rhythm changes and we become sleepy naturally: the first and greatest shift is at night and the second is after lunch,” says Oexman. He recommends taking advantage of that post-lunch dip in energy and settling yourself down for a nap between the hours of 12:00 pm and 2:00 pm. “You should never take a nap in the late afternoon or evening, as sleeping at this time may interfere with your ability to fall asleep or maintain sleep at night.” Word to the wise: Schedule your siesta from midmorning to midafternoon, but no later. Before you lay your head on your desk for a quick snooze, remember this: The conditions your body requires for proper napping are no different than those required for proper nighttime sleeping. If you live or work in a loud or busy area, and especially for those based in a metropolitan city, a white noise machine can be a wise investment to help drown out sounds. Temperature is important, too. Buchfuhrer says it’s best to keep the room dark, quiet and slightly cool. In general, the best temperature for optimal sleep is between 60 and 67 degrees. Since it’s most likely light outside, he suggests purchasing blackout curtains (for napping at home) or wearing an eye mask at the office to give yourself the best chance at falling asleep. Especially if you’re in an office environment, you might have trouble finding a place to lie down flat, which is okay. As W. David Brown, PhD, sleep psychologist at Children’s Health’s Sleep Disorders Center and assistant professor of psychiatry at UT Southwestern Medical Center, says napping on a flat surface may make it harder for you to wake up (not to mention leave you with bed head!). If you work in an open environment and don't have the luxury of turning off the lights in a quiet space for a full-blown nap, there is something to be said for giving yourself a few minutes mid-afternoon to rest your eyes. While you won't reap all of the cognitive benefits that a snooze offers, you can calm your mind and reduce stress, which gives some of your neurons a break and can give your productivity a slight boost. The benefits aren't long-lived, but studies do show that people feel an increased alertness immediately following a rest break. So if a nap isn't an option, "resting your eyes" for a few moments may be your next best option. Most people who enter deep sleep during a nap wake up feeling worse than before they took the nap. Additionally, peak performance, mentally, physically and emotionally, has been associated with these shorter periods of naptime — under 20-30 minutes is ideal. “An exception is if you cut your sleep very short the night before,” says Robbins. “In that case, if time allows in the afternoon, you might opt for a 90-minute nap.” People who do shift work are another exception, as research shows that those who work for long stretches of time, such as a nurse or a pilot, may benefit from longer naps that scale between 45-60 minutes. So the next time the post-lunch yawns start to set in, sneaking away for a 20-minute snooze may just provide you the energy boost you need to power through the rest of your to-do list.